“I cannot forgive him for what he did to the Jews of Gush Katif. It is very difficult for me to discuss my feelings about Sharon,” he said. 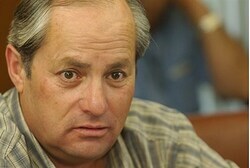 A day after the passing of former Prime Minister Ariel Sharon, former MK and Gush Katif activist Tzvi Hendel told Arutz Sheva that while Sharon will be remembered for many of the great things he did – by Israelis and by Hendel himself – “I cannot forgive him for what he did to the Jews of Gush Katif. It is very difficult for me to discuss my feelings about Sharon,” he said. According to Hendel, those “impure reasons” involved getting the leftist judiciary and media off his back for the various scandals he and his sons were involved in. “I am not speaking off the cuff or from the heart when I say that he went through with the Disengagement in 2005, throwing 10,000 Jews out of their homes, in order to get a ‘break’ on cases the Justice Ministry was pursuing. I know this for a fact. Unfortunately I cannot bring evidence, because of course all the people involved will deny it. Those who trust me will believe me about this,” he alleged. According to Hendel, Sharon was able to build so many homes in Judea, Samaria, and Gaza, as well as in the rest of Israel, because he always managed to control the Israel Lands Administration. “No matter what ministry he ran, he insisted on including the ILA in his jurisdiction, and he was thus able to provide the support the new communities and towns needed to grow and thrive.” There were many examples, Hendel said, of Sharon’s bucking the bureaucracy and outfoxing leftist groups like Peace Now to push the agenda of growth of Jewish communities in Judea, Samaria, and Gaza. Hendel remained close to Sharon for many years, but when the Prime Minister began implementing the Disengagement, Hendel began to get very angry at the man who had once been his friend. “I was angry not over what he was doing, but over the fact that he was ruining our friendship. I was angry that he was causing me to not love him as a friend anymore.” Believing that he could somehow appeal to Sharon before he made a tragic mistake, Hendel sought numerous times to meet him – only to be told that “Arik said he does not want to meet you,” Hendel quoted Sharon’s sons as saying. Later on when Hendel served as Minister of Religion in Sharon’s government, the two did meet – to discuss the dismemberment of the ministry, as had been demanded by Sharon’s secularist coalition partners, Shinui. This, said Hendel, was months before the Disengagement actually was announced, but rumors were already flying as to Sharon’s intentions. “We sat and spoke for two hours,” said Hendel. “He looked around me, below me, and above me, addressing me – but he could not look at me. He knew that I knew what was going on.